Yesterday, in New York, Sikhs held a rally (organized by Sikhs for Justice) outside the United Nations to protest the death sentence of Professor Devinderpal Singh Bhullar in India. 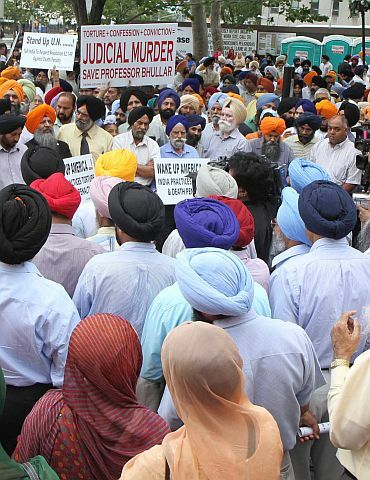 American Sikhs have now joined their counterparts in India and around the world in objecting to the miscarriage of justice that could lead to the judicial killing of Devinderpal Singh. 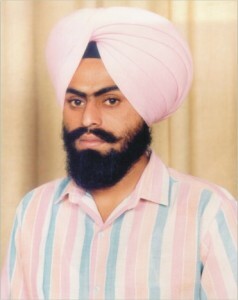 Devinderpal Singh’s sentence has not only been objected to within India, but it has also garnered international attention as other governments and world leaders have expressed concern about the unjust and very questionable handling of justice that lead to the sentencing of Devinderpal Singh to death. The Langar Hall, a Sikh group blog, provides a very good account of Devinderpal Singh’s case which demonstrates the severe miscarriage of justice and why the calls for clemency are justifiable and warranted. Amnesty International has also taken up the cause, and provides guidance on how to add your voice to the petition to save Devinderpal Singh Bhullar from judicial murder.